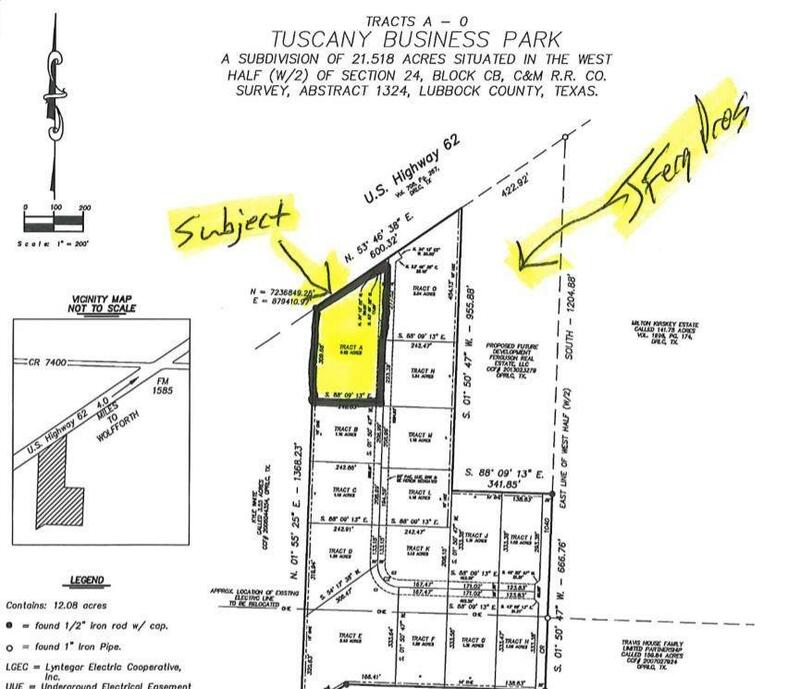 Tract A of Tuscany Business Park - 2.22 acres with 300 foot of Frontage along 62/82 (Lubbock Highway). Property is 1/2 a mile from FM 1585 (The Future Outer Loop) next to JFerg Pros. 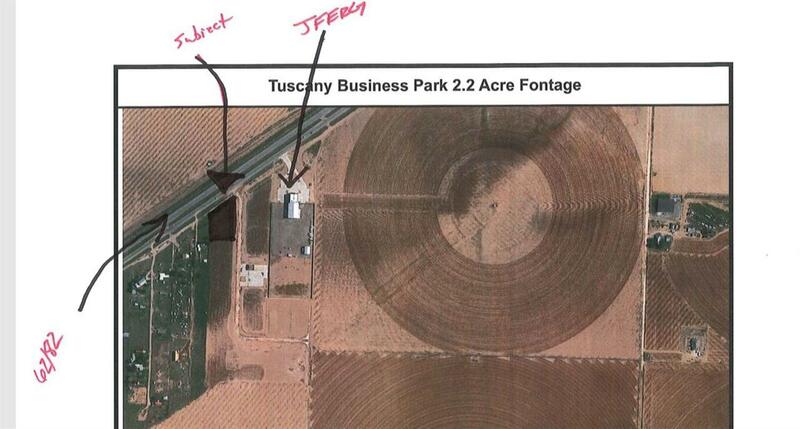 All other lots in Tuscany have sold! This is only lot remaining! Roads are paved with curbs and gutters. High Speed Internet available. High traffic count. Listing provided courtesy of Brad Mcminn of Brookshire & Mcminn, Brokers. Listing information © 2019 Lubbock Association of REALTORS® MLS.